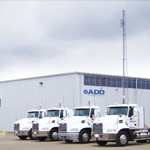 Customer satisfaction is the highest priority at A.D.D. We understand every customer has unique needs, which is why we custom-tailor our services to match your specifications. A.D.D. staff help define your unique requirements and create a plan that works for your business. 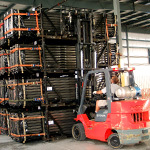 Advanced warehousing for every customer. From reception to storage, distribution, and delivery, we offer proven, professional service and planning-based on experience. We can help you establish a practical and functional supply management and delivery system that will save you money and add efficiencies to your manufacturing processes. 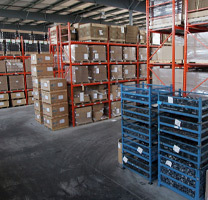 Advanced warehousing for every customer. At the heart of A.D.D. 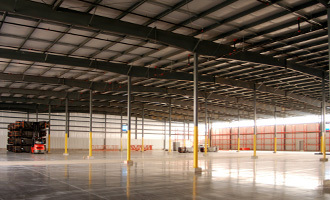 is a clean and secure 300,000 square foot warehouse with a complete menu of short and long-term storage options. Security is a very serious issue. The A.D.D. building is outfitted with state-of-the-art security controls. Because the facilities, equipment and delivery vehicles are the foundation of our business, we maintain each with supreme care so they can be used to their maximum capacity. A.D.D. puts the same utmost care into your resources that we put into ours. Protecting your product’s integrity begins with careful storage and accurate stock rotation on a 'first in, first out' basis to ensure your inventory remains current and in peak condition. You can also count on A.D.D. to be operational and available 24-hours a day, seven days a week. Our primary customers are located in Ontario, but our reach extends wherever and whenever you need us to go. The A.D.D. fleet of flatbed vans and trailers is ready to meet your needs at all times – anywhere.